LBD & ONESIES - A Lifestyle Blog: Cardigans and Jumpers for up to 50% off at Romwe! 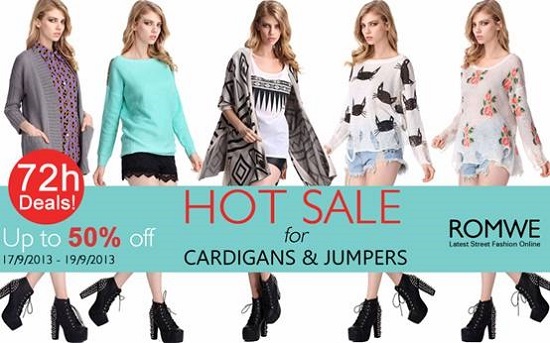 Cardigans and Jumpers for up to 50% off at Romwe! Nights are indeed getting colder lately here in Manila. I assume even the days are getting colder in some other countries nowadays. During these times, we rely on our trusted jackets and thick sweaters. I personally hated wearing them though cause they make me look plump and smaller than I am. So I resorted to wearing cardigans and jumpers which keeps me warm despite the light material. On top of that, they are also very fashionable.